Simon Vielma, is the Founder and CEO of Listar, Inc. a company focused on improving the way people around the world shop, share, and discover products. 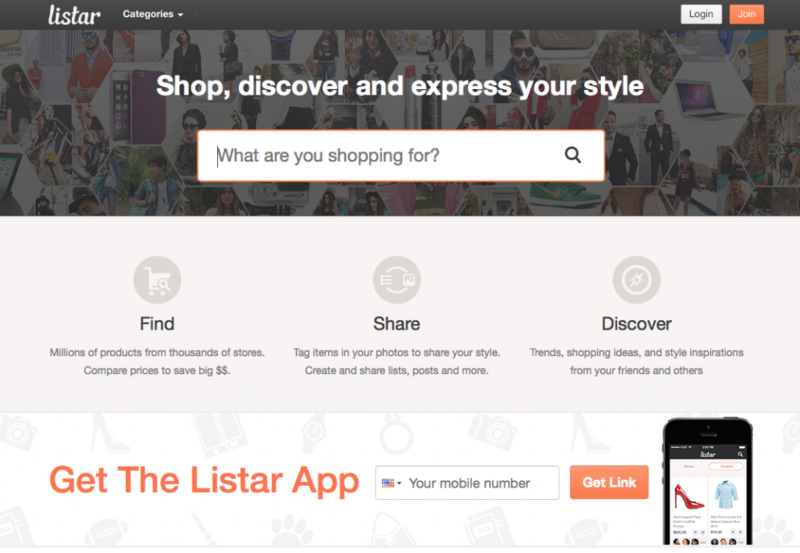 Listar is a social commerce platform where users are empowered to share and discover products through photos and other types of social media. In addition, Listar provides users with a smart and fun way to shop by combining its powerful price-comparison technology with community features that leverage the social graph. The company is based in Miami, FL. 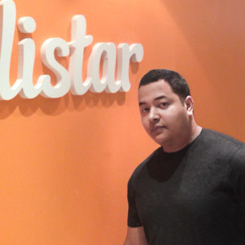 BusinessInterviews.com: How did you come up for the concept behind Listar? Simon: Even before the rise of social networks, I have been fascinated by the possibilities of what could be achieved by building applications that leverage our personal connections. I think that every industry stands to gain from tapping into the social graph to deliver a more personalized service. With the exception of a few players, today’s leading e-commerce companies haven’t evolved much since the 90s. Take comparison-shopping, which is one of the things that we do in a better way. The leaders (Nextag, Shopzilla, etc.) all currently offer users a service that’s not in sync with the current times. Their products are very pedestrian, yet they continue to make hundreds of millions of dollars. We came up with the concept of Listar because we were trying to build a better alternative to what’s out there. Nowadays, there are many start-ups popping up in the so-called “social shopping” space, but I don’t think anyone has quite nailed it yet. There are huge opportunities for those who figure out the next paradigm in e-commerce. When it comes to shopping, you have two kinds of users: those who already know what they want and simply want to search for the best deal on a product, and those in discovery mode, ones who don’t quite know what they want yet. For both cases Listar has a better mouse trap. Listar is a media-oriented platform that centers on photos and content shared by other users as a great discovery mechanism for purchasing items. We offer users tools to find and compare prices on millions of products as well as discover products through photos of their friends, lists, activities, and much more. BusinessInterviews.com: Can you talk about the process of building an attractive and useful application for digital commerce and any challenges that you encountered along the way? Simon: It starts with people. The key is to find talented people who are passionate. Passionate about building a great company, passionate about making a difference, and passionate about our mission of building the best tools for finding, connecting and sharing information around products and interest. I do my best to find people that share that passion (even if we have different visions) and I try to put them in the right seats. It all sounds very cliché, but this is really the secret behind building great products. I would also add that it helps to have people with good taste. Our biggest challenge has been hiring. Large tech companies are paying incredibly high salaries to top-notch developers, and it is precisely those very talented developers that start-ups like ours need in order to disrupt the status quo. So, we have to come up with creative ways to lure them in. We try to appeal to nobler motives, the higher purpose and all that. BusinessInterviews.com: What are some trends in your industry that you’re excited about? Simon: Like I said before, one of the things I am really excited about is making applications more social. Many companies interpret this to be implementing Facebook login on their sites. That’s not it. There are some cool examples that I can point you to in certain verticals: in travel, for example, TripAdvisor uses my Facebook connections to tell me which restaurants or attractions my friends (or friends of friends) have visited in the location I am currently in. LinkedIn is doing similar things in the recruiting space. Monster.com, which used to be the leading recruiting platform, should have realized that the career portal of the future should be able to tell me things such as if a friend, or someone within 2 degrees of separation works at a company that I am interested in. Instead though, they didn’t evolve and continue to offer the exact same product they were offering in the 90s, namely a monotonous job board. You can easily tell which one of the two companies (Linked-in vs Monster) investors feel more optimistic about by comparing their market caps. BusinessInterviews.com: Can you share your top tips when it comes to managing a virtual team that happens to be located all over the world? Simon: Great question. I try to find new answers to this question every day. I think that the best way for me to answer this question is to refer you to two excellent videos on the subject. BusinessInterviews.com: How has Listar evolved since first launching a year ago? What milestone are you most looking forward to achieving in 2015? We have gone from only Web oriented to being 100% more focused on mobile while maintaining minimal desktop presence. As far as milestones for next year, I think that we can get to profitability by the third quarter of 2015.